Hey, the Sharks just won a game. In regulation. Against the defending Stanley Cup champs. Their struggling offense scored four goals. All lines were fast, energetic, and physical. Niemi played great the entire game. Brent Burns looked amazing in his second game up at forward. 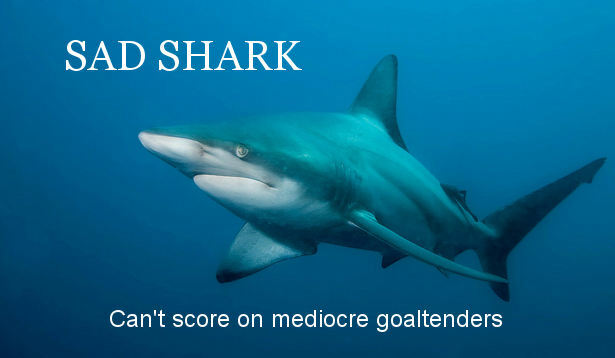 This is the Sharks team we’ve all been waiting to see. The forechecking came alive. Brent Burns had three amazing steals in the offensive zone that led to three high quality chances, two of which went in the net. The defense got involved in the scoring. Hell, even Douglas Murray had a nice chance on a backhand wrap-around. It was definitely an exciting game from start to finish, but I’m feeling left with more questions now than answers. How long will Brent Burns stay at forward? It’s scary how good he was up front against the Kings. He’s got a big body that’s hard to push around, he’s established chemistry with Logan Couture, and because of his defensive acumen, he’s able to jump back when needed, allowing the defensemen to pinch up on the play. Wow, seriously, I don’t know when he’ll head back to D, but I’m loving him up front right now. Is Burns the cure for the lack of secondary scoring? The Sharks scored four goals against the defending Stanley Cup champs, and drove their Conn Smythe goaltender out of net in the process. Burns was active on three goals, getting himself a goal and an assist in the process. He had another fantastic chance off of a steal that he almost knocked in. Matt Irwin has stepped up as well, and looks like he will no doubt take the torch from Dan Boyle, firing pucks on net from the point. He’s got a huge blast, and already has three goals this season. The rest of the team? Still not so hot. 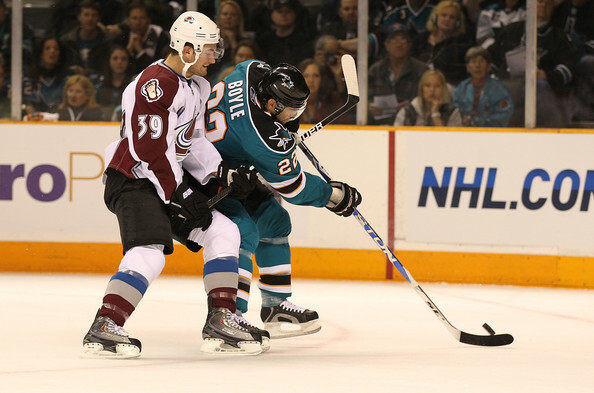 Clowe, Sheppard, Burish, Handzus, Wingels, Kennedy, Gomez, and Galliardi have a combined eight goals this season. Hell, even Havlat has three goals. While it’s exciting to see Burns going at the rate he is, it’s tough to look at this team and not be concerned about staying in games without more scoring from unlikely sources. What kind of fight does this team have? The most concerning thing I saw in this game was the lack of fight from the Sharks once they got a comfortable lead. They went in to the third period up 3-1, and they came out flat. They stopped playing the physical game that got them the lead in the first place, and instead looked like they were on the penalty kill. They were complacent, they looked tired, and they lacked the urgency to score, even when the Kings made a late push. This passive style has been the norm this season for the Sharks. They need to figure out how to play a full game, an intense, physical, sharp 60 minutes. Against the Kings, they played 45 minutes at best. Without some luck on the power play and Brent Burns’ crazy forechecking, I think the Sharks walk out of the Tank with zero points. This was a great game, and a much needed win and confidence boost for the Sharks, but this is only the beginning. Saturday is a big test to see what kind of fight this team has.